Today we leave civilization once again. Our route takes us out Seaforth Channel and then through Reid Passage. In a SW wind Seaforth Channel can get rough. Luckily, the wind has been blowing from the NW. We got a late start (intentionally) and had an easy trip out Seaforth Channel. A bit of swell as we neared the mouth, but nothing uncomfortable. 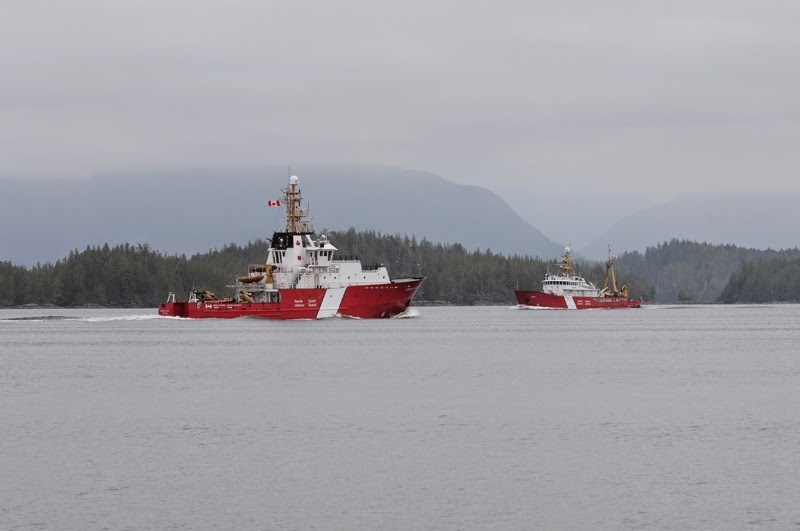 We passed two Canadian Coast Guard cutters today…certainly a safe feeling!